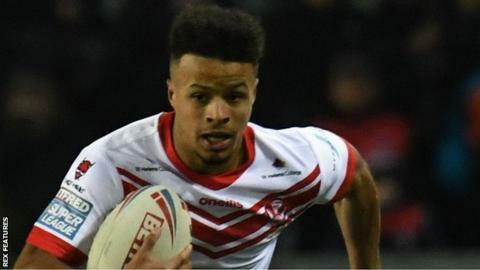 Regan Grace has signed a contract extension at St Helens that will keep him at the Super League club until the end of the 2021 season. The 22-year-old Wales winger has scored 33 tries in 62 appearances over three seasons. The most recent of those scores came last weekend as Saints beat London Broncos 26-0. "I am still young and have lots of learning to do, but I'm excited for what the future holds," said Grace. Chairman Eamonn McManus told the club website there had been interest in Grace from rugby union clubs, while head coach Justin Holbrook added: "He is a young player who listens and is good to coach. "He has learnt a lot in the last couple of years and although he still has a lot more to learn, he is such an explosive, natural runner, who is great to watch."